Stoptober is here, so let’s talk about the elephant that was in the room but stepped out for a cigarette. That’s right: smoking. Behind each habit or behaviour is a positive intention. That can be a little hard to accept when the habit is something inherently bad for you, like smoking, but bear with me. Habits give us comfort and consistency at points in our day. Sometimes they work in our favour and contribute positively, and sometimes not so much. And then, other times, the line is blurred and it’s not clear whether the habit is good or bad. For some people, that’s the case with smoking. It’s long been documented that smoking is bad for your health. However, the risk isn’t always immediately evident and therefore not always considered when a cigarette can be an excuse to leave the desk for a few minutes, or to manage stress. Or maybe it’s a social habit, done around friends, or with a drink. 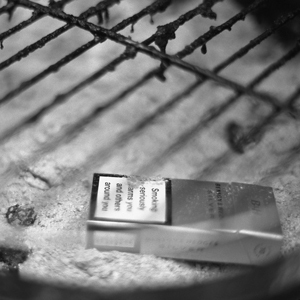 In the social smoker context, the positive intention is to relax and to connect with people. For the stressed workplace smoker, it’s to have a break. The problem with habits is that they don’t live in a logical part of the mind. They inhabit the unconscious: the part of your mind that looks after you, regulates your body’s system, and generally tries to help. The unconscious can cause you to engage in a habit because of that positive intention, which overrides everything else. A good way to approach your smoking habit more consciously is to consider when and where you smoke. What does each cigarette bring you? What’s the positive intention behind it? Once you find out what the positive intention is, you can start thinking of other ways to achieve that intention. For example, I mentioned popping away from your desk for a quick cigarette, possibly to escape from pressures and stresses. The cigarette is an excuse to get some air, both figuratively and literally; as you smoke, you breathe deeply – which is a relaxing exercise to regulate your nervous system and calm you down. A good alternative to actively address stress levels would be to ditch the cigarette and consciously practice deep breathing. Breathing in deeply through the nose for a count of 5 or 6 seconds, then exhaling slowly through the mouth for a longer count. This engages the parasympathetic nervous system, which calms you down. Note, you don’t have to hold your breath at the top of the inhale or bottom of the exhale as this might increase tension. Try to tune into your body and see what works. With smoking, there is the added layer of complexity of all the chemicals that are in cigarettes. These devices have been designed to be addictive, so you’re also up against a chemical addiction, and may find that you need some assistance. When you kick your smoking habit, your body will thank you. Changes will begin occurring immediately. You can read more about what happens to your body when you quit on WebMD. Hypnotherapy is a natural and relaxing method to access the unconscious mind and, more importantly, is a proven way to address your smoking habit (and other habits). If you would like assistance to stop smoking, get in touch here, emailing me at nemichaelides@gmail.com, or calling me on 07989 418887. Long story short, testimonials often reveal that smokers get used to having a cigarette in their mouths. Eventually, that habit—of picking up a cigarette and placing it between one’s lips—becomes a routine of comfort. Once cigarettes are removed from the picture, that desire to chew, bite or smoke often remains. Thank you for your comment, Titan. You’re right, a smoking habit isn’t always just about the cigarette; sometimes there are others needs that are being met – or new ‘mini-habits’ that are being created – and these need to be dealt with. It’s also useful to recognise that whilst some people only need one hypnotherapy session to stop smoking, others might require two or three in order to deal with elements that become known during or after the first session.